Following 2017’s awards success, which included winning Learning Technologies Company of the Year UK and Learning Designer of the Year, LEO Learning has been shortlisted for six awards at the 2018 Learning Technologies Awards. The Learning Technologies Awards, one of the most prestigious learning industry accolades, has announced the nominees for its 2018 awards. The awards shortlisting includes: Best Learning Technologies Project, Excellence in the Design of Learning Content, Best Learning Game and Best Use of Learning Technologies to Ensure Compliance. Finalists were selected from over 400 entries by an independent judging panel of experts organised by the eLearning Network. Ahead of the awards ceremony on 21 November 2018 in London, nominees will deliver a presentation to the judging panel, from which the winners will be chosen. The 2018 Learning Technologies Awards “recognise the commitment, enthusiasm and passion for learning technologies across the world.” Entries were received from a huge range of sectors, including healthcare, pharmaceuticals, finance, transport, utilities, retail, leisure and communications, as well as national and international government, major public and membership bodies and leading international education brands. To view the full Learning Technologies Awards 2018 shortlist, click here. LEO Learning’s expanding global customer base includes organisations such as the NHS, Civil Service Learning, Jaguar Land Rover, Volvo, Suncorp, Virgin Atlantic, Novartis, Godiva, Volkswagen, Dunhill, KPMG, Roche and Mars. 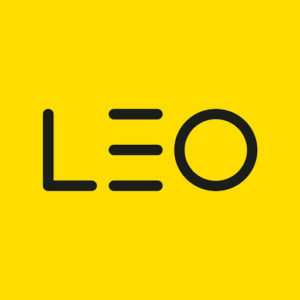 For more, visit LEO Learning. With our talented and experienced team, as well as our great partners at Godiva, Royal Mail and the Education and Training Foundation, we’re confident in our continued ability to delight our customers.